This book has attempted to highlight the importance of emotions in mental illness. Emotional experiences have an important effect on child development and to determine emotional organization. This emotional organization influences the perception of the self, others, and the world. Despite the importance of emotions to understand the individual’s complexity, cognition has been the most studied mental process in psychiatric illness because it can be easily verbalized. However, the origin of psychiatry and psychology highlights the importance of emotion rather than cognition. On the one hand, the work of Wundt supposed a milestone in the study of emotions in the lab. He is widely regarded as the “father of experimental psychology”. Likewise, Jaspers gave notes on how the patients themselves felt about their symptoms. Jaspers is widely regarded as the “father of the biographical method”. Both theses have been considered as reductionist perspectives. On the other hand, the work of Freud supposed another milestone in the study of emotions by means of the unconscious mind. He is one of the founding figures of psychoanalysis. Thus, he proposed interesting macro concepts, but they are not falsifiable. To sum up, paradigms in conflict posit difficulties to understand the complexity of emotions in mental illness. This book tries to bind both micro and macro components in order to understand the complexity of emotions in mental disorders. To this end, a preliminary chapter – “Affects and Psychoanalytical Theory” – examines the last contributions of psychoanalysis on emotional states from a macro conceptual perspective. To understand the etiology of emotional organization, the second chapter reviews the literature on “Genetics of Emotional Dysregulation”. With regards to the importance of emotional organizations, the third chapter highlights the study of “Affective Temperament in Mood Disorders”. The affective temperaments can elicit certain emotions over others and can determine the course and the illness prognosis. Similarly, negative life events can cause epigenetic changes and elicit biases to negative information. This thesis is explained in the fourth chapter, entitled “Emotional World Perception in Depression”. From a longitudinal perspective, emotional disturbances can be part of adolescence or can be an indicator of emotional vulnerability to develop a mental disorder. This differential diagnosis between normal or pathological mood is examined in the fifth chapter, “Severe Mood Dysregulation in Adolescence”. 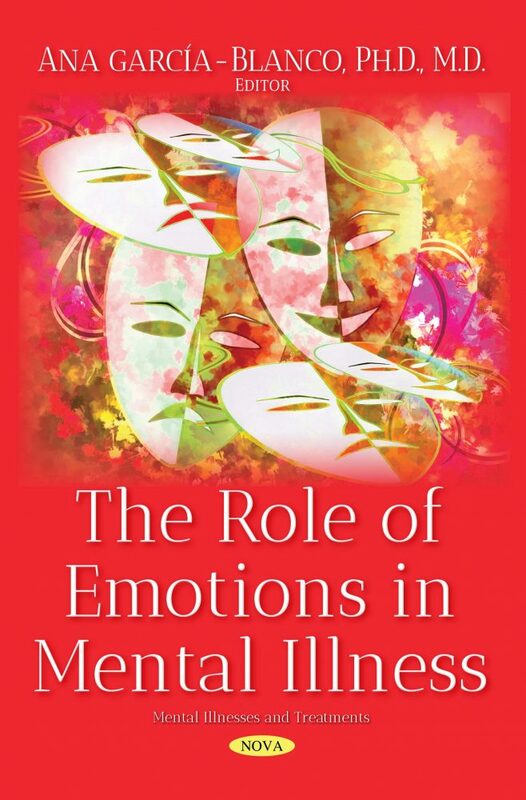 Subsequent chapters examine the last findings on emotions in different mental disorders other than affective disorders. The sixth chapter, “The Role of Emotion in Eating Disorders” goes further than eating behaviors and focuses on the emotional experience as an underlying mechanism. Similarly, the seventh chapter – “An Emotional Approach to Autism Spectrum Disorders” indicates that emotions are not absent, but rather blocked.